Hot plates have gained both fame and infamy in the past few decades. Their convenience and low costs have made them a staple of single-person housing units and office buildings, but their reputation for catching fire has made many building owners and property managers wary of allowing their tenants to keep such an unpredictable item in their units. A hot plate is a portable electric stove-like appliance that allows one to cook or heat up food without traditional stove top burners. It allows people who don't have the space or money for a large stove to nevertheless perform most of the functions that a stove would allow. In addition to this, because a hot plate does not have an open flame, one does not need to worry about fire hazards in small, confined spaces. A hot plate looks a lot like a camper stove without the traditional fire burners. It contains a thick base that supplies the heat and electricity, with a small circular top where you can place your pot or heated item. Most hot plates contain a switch or button that activates the heat, though some do not allow you to control the intensity of the heat, so cooking times may vary. Being that a hot plate only functions as one burner, the device is just slightly larger than a single stove-top burner would be. Many hot plates also have a stirrer function, which consists of a magnet inside the hot plate that rotates, allowing the food to be stirred automatically. 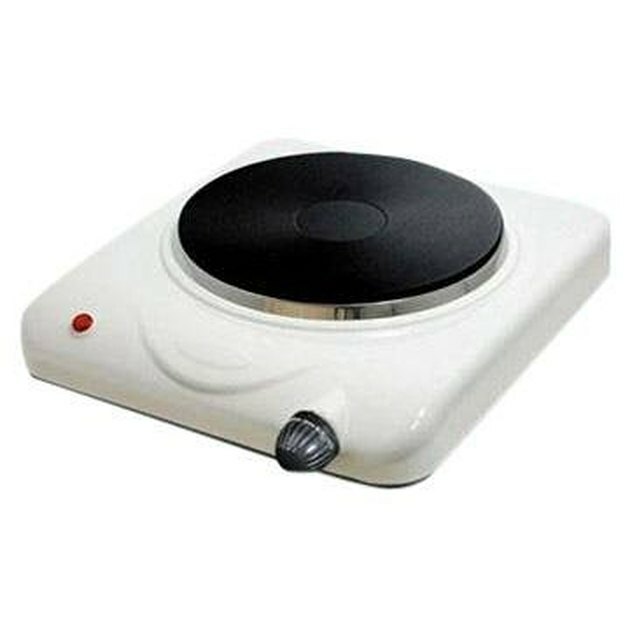 Hot plates are used most frequently in small studios, dorm rooms, motel/hotel rooms and bachelor pads because they are ideal for single individuals who do not have a lot of space to work with and who do not cook frequently enough that they would require a stove. Some offices provide a hot plate in addition to a microwave. Laboratories also utilize hot plates to quickly heat up chemicals. Instead of working with an open flame like many stoves do, a hot plate garners its heat from coils that are heated once the appliance is plugged in and activated. Heated coils are the traditional way of heating hot plates. 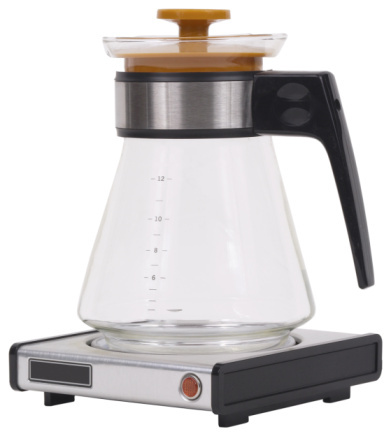 However, halogen has been used in some of the newer models, which allows the hot plate's surface to achieve its optimum temperature much quicker than the coils would. Many places, such as offices and studio apartments, that already have a hot plate installed will not allow a tenant to bring in a stove or stove-top burner. Conversely, some establishments that provide communal stoves or cooking spaces, such as dormitories, may not allow you to keep a hot plate in your room because they can be a fire danger if they are left on or come into contact with a highly flammable material. Can You Put Pyrex on a Hot Plate? Are All Plates Oven Safe? What Are the Dangers of Heating a House With an Electric Oven?